The Nofrills Excursions team understand that planning a holiday is very important, and that visitors to the Island of Majorca should leave with the best experience possible. So for that reason we have combined using our own knowledge and feedback from our clients what they like to and have done whilst on holiday in Puerto Pollensa. 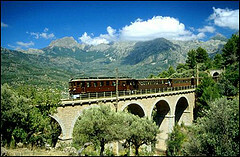 Below you can find some of our suggestions which we think would be a great part of your holiday. Welcome to the beautiful Island of Mallorca (or as locals know it, “Mallorca”)! For most travellers the day they arrive is spent unpacking and getting used to the area, then in the evening they have a meal at a local restaurant. To get you started we recommend the Restaurant “Llenaire” which does lovely rice dishes as their speciality. Or for those who are a bit more adventurous why relax with a dinner show like the world famous “Pirates Experience“. Many famous stars including Andrew Lloyd Webber have seen this show and fully recommend it! 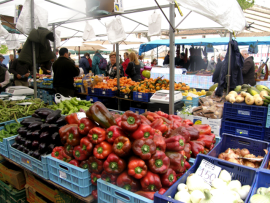 Why not head out of town for a morning and visit the delightful neighbouring town of “Pollensa” renowned for it’s famous landmarks such as the Calvary Steps and Puig de Maria they also have their own market on a Sunday morning between 9 in the morning and 1 in the afternoon. This is a great way to journey back in time as you amble through the quaint narrow streets and get a sense of a fascinating Mallorcan Town. Once back in Puerto Pollensa you may want to try a local restaurant called “Hells Kitchen” they have an amazingly tasty three course Sunday roast including the normal choices and even a few different ones such as Salmon on a bed of Pesto Mash. Take to the waves! That is of course in the comfort of your own boat. As always the weather will probably be very sunny and instead of lying on the beach all day, why not combine in with an enjoyable boat trip to the beach of Formentor or back. During the evening if your stuck for dining options a great restaurant with a very friendly atmosphere is that of Guru. A popular local bistro with a very differed menu including such things as Sauteed Chicken strips in a delicious Mandarine Sauce. Tuesday is a great day to get away from Puerto Pollensa since there won’t be a lot happening that day. So we suggest that you take a cultural trip into the heart of Palma. 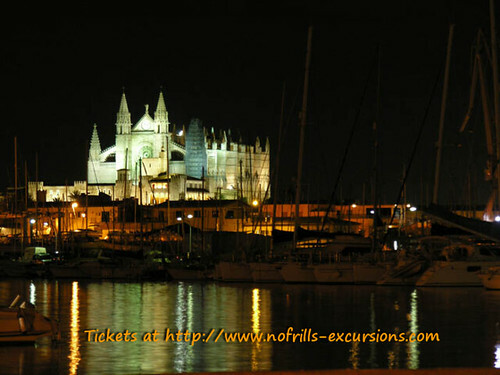 Including a full panoramic 70 minute tour with guide you also get 5 hours free time in Palma to go shopping or even visit the famous Cathederal. There are many great places to grab a bite to eat in Palma and your guide will be more than happy to point them out. What a great day Wednesday is! One of the most popular things to do is of course the Island Tour. Many visitors consider it the highlight of their holiday. This trip has it all, Beautiful Scenery, Mountain and Coastal. 1912 Vintage Train, Orange and Lemon groves. We would like to recommend Nofrills Excursions to take you on this particular excursions as you will be taking away the stress and worry of organising bus and train times. You also get to enjoy the beautiful traumuntana mountain range and our experienced english guide willl give you lots of the islands history. 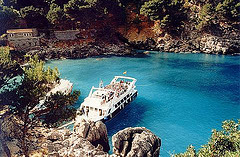 Visit La Calobra, Puerto soller and Soller. There are some delightful places to eat lunch in your 2 hour free time in Puerto Soller and at a very reasonable cost too. Once you get back around about 6 O’clock in the evening you can have a small snack maybe. After a busy but very fascinating week so far why not spend Thursday relaxing at home during the morning. Then during the afternoon take a pleasant walk to the secluded beach of Cala Boquer. Right from Puerto Pollensa this walk takes about an hour going and coming back. You’ve already seen the traumuntana mountains, so why not take a refreshing trip on a boat trip around the Bay of Pollensa to see the beautiful mediterranean sea. leaving at 3 O’clock and coming back at 5 O’clock its a really interesting insight to Puerto Pollensa. For your last meal why not head on down to Nico’s American restaurant. Run by a local family they have put so much time and effort in to giving the customers exactly what they would expect from a great tex-mex if not more. Their home made brownies are to die for!